After a few hours of riding, I usually have some tenderness or aching in my palms. I decided to see if there were any gloves out there with padded palms to help ease the pressure on my hands. 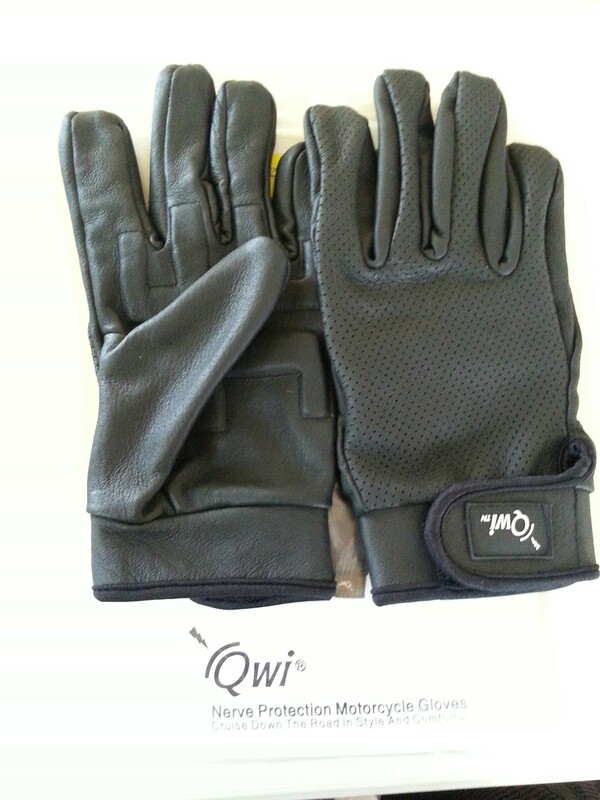 I came across Qwi Nerve Protection Gloves which were designed by an orthopedic surgeon. 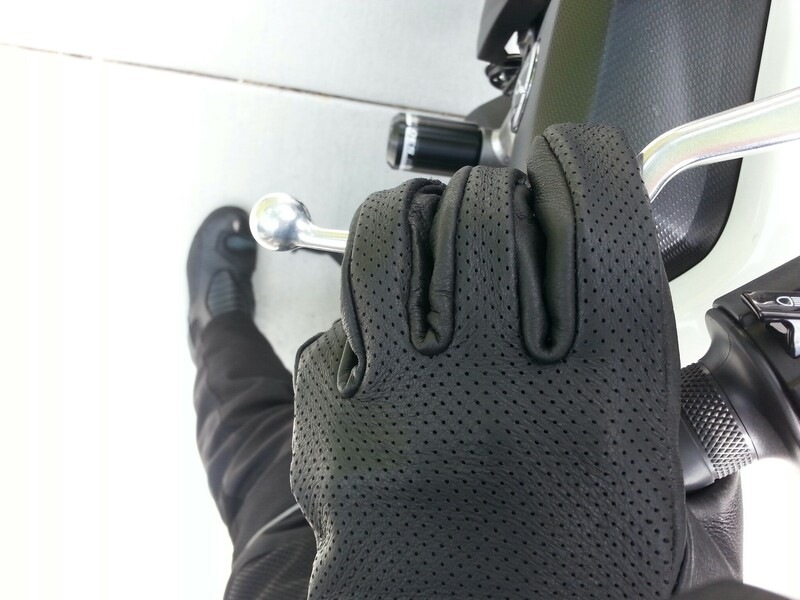 I read through all the information on the site and it seemed like this was exactly the solution I was looking for, so I ordered a pair of the full finger perforated leather gloves for $38 plus shipping. Shipping was amazingly quick. I ordered on the 24th and received the gloves on the 27th. I took them out of the package and looked at the palm padding. It looks like it’s padded right where I need it! I put them on and immediately was disappointed. The inner seams are very prominent and very uncomfortable. The fingers are sewn in such a way that all the finger panels meet at the ends of the fingers and are sew altogether in a bunch. Even just having them on, I felt discomfort on my fingertips. Then I noticed that the right glove felt larger than the left. After looking it over, it appears the right glove had been worn fairly extensively as it was very broken in and the leather had stretched quite a bit. You can see in the photo how thin the leather is on the right glove compared to the left. The right glove (pictured here on the left) has been worn extensively prior to my purchase. You can see how thin the leather is compared to the unworn glove (pictured here on the right). 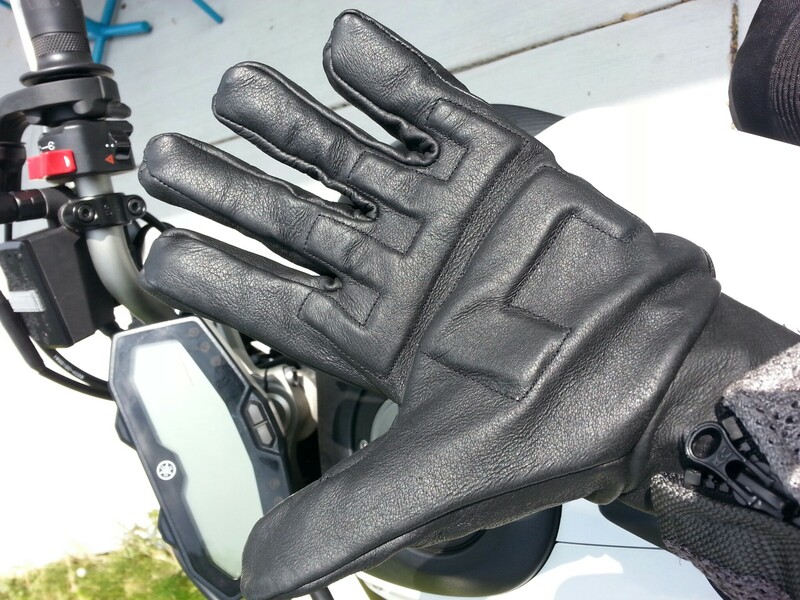 Before asking for a replacement right glove, I decided to give these a go on the bike. So, I put them on this morning and rode to work. I noticed immediately how uncomfortable the seams were against my skin. I also noticed how “bunched up” the material felt in my palm. 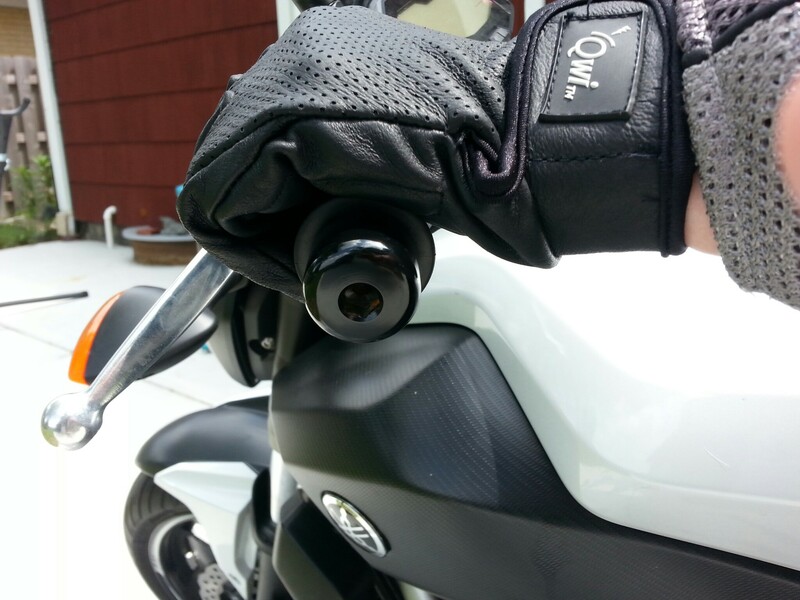 There is so much padding that I actually have to press harder into the grip to reach the clutch and brake levers. I was shocked to arrive at work after my 10 minute commute with sore palms! Extensive padding on the palm bunches up when wrapped around hand grip. You can also see the “star” seam in the fingertips. I wasn’t planning on using these gloves as my everyday gloves. 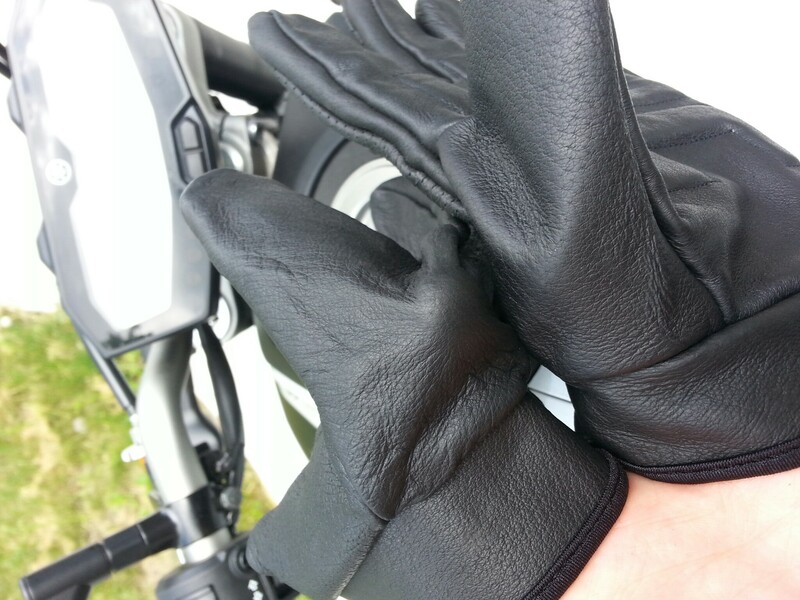 I was just going to use them as my backup pair to throw on when my hands got sore after long rides. However, it’s clear now that these gloves not only wouldn’t help alleviate that tenderness, but would actually cause more pain than my regular, un-padded gloves. 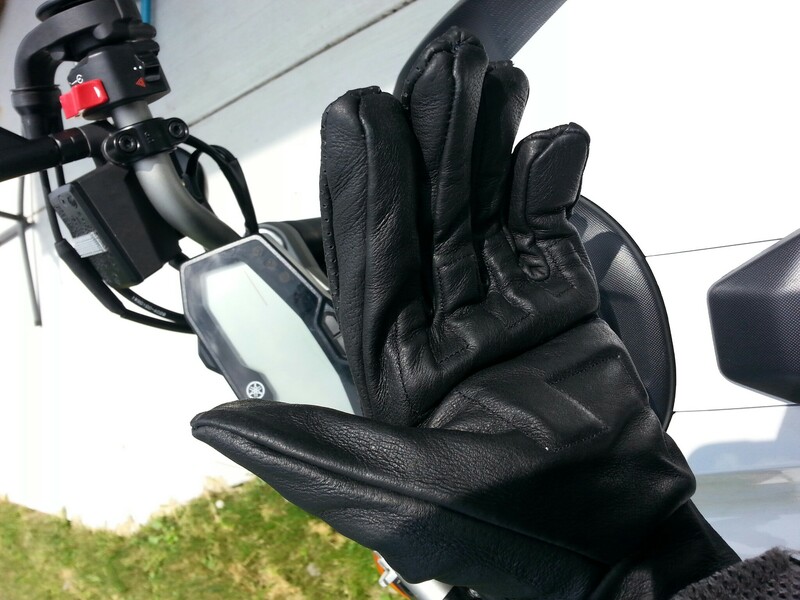 Needless to say, I was very disappointed after reading so many testimonials from other motorcyclists about how the gloves relieved hand pain. Qwi offers a 30-day satisfaction guarantee, so I’ll be mailing these gloves back to them for a refund.